Big Bertha. Eating up all that flour. In the past couple months some wonderful things have happened. I made a sourdough starter and named her Bertha, got my friend to also make a sourdough starter, Bubbles, so we could raise our yeastlings together, and Boi killed her first mouse. It was a horrible death and I thoroughly believe she intended it as payback for forcing her to wear a pink collar with a bell as well as making fun of her constantly for being a bad hunter (her feelings get hurt easily). In fairness, she used to only hunt the neighbor's puppy, or the neighbor children. But seriously, I do not even know what happened to the mouse and I am a "stronger person for having cleaned it up". For those who do not know Boi, she is my cat and yes, I need to get a life. Moving on. However stellar those first few gems were, the best thing that has happened was my parents braving the 20 hour plane flight to visit lil ol' me. Considering before about 1.5 years ago they knew little to nothing about the country of Botswana (I am not exempt from that either), I would say that they enjoyed it. My mom was obsessed with the monkeys and elephants and my dad was too focused on trying to drive stick shift left handed to really see anything. Just kidding, he loved it, and he drove like a champ. They saw that I do in fact live in a house, not a mud hut, and they even washed their clothes by hand like true villagers-so proud. Everything worked out swimmingly and the only bad part was two weeks was just not enough. We could have spent two weeks in Cape Town alone! I even brought along my boyfriend, who they had never met, on a 20 hour road trip through South Africa and we are still together so that is saying something, amiright? I got the news while on vacation that the grant we have been working on was approved, yaaaaa buddy! Mosetse Village will have another small business rolling out the red carpet in a couple months. And that is about it for the work I have been doing. 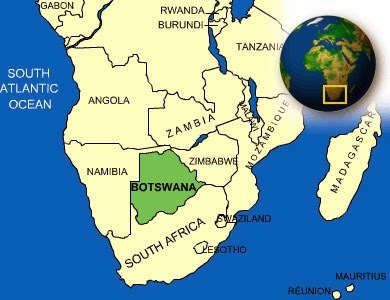 In 7 days we will have been in Botswana ONE WHOLE YEAR. And guess how much Setswana I know? Yup, not much. And for those wondering, the sourdough bread turned out quite well, thanks.